People in the Pinehurst, North Carolina area who suffer from Asthma need not only competent diagnosis but also effective treatments. 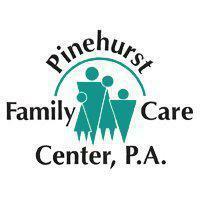 Pinehurst Family Care Center, P.A. has a staff of providers who have expertise in Asthma in patients of all ages. Asthma is a chronic respiratory disease, so the disease is always there even though symptoms are only sporadic. The symptoms occur during asthma attacks. Symptoms during an asthma attack typically include a struggle to take a breath, wheezing, chest tightness, and coughing spells. The most recognizable asthma symptom is usually the struggle to breathe. Some people describe it as a "fish out of water" feeling. The triggers of an asthma attack may be different for each person. Often, exposure to certain triggers causes an asthma attack. This may happen almost instantaneously in the case of some triggers. Asthma attack triggers can include smoke, dust mites, pet dander, mold, wood fires, pollen, and cockroach droppings. Some people have asthma attacks after exposure to certain fragrances or food additives. Respiratory infections may trigger attacks. Exercise, especially heavy exertion, may trigger asthma attacks in some people. Children who suffer from chronic respiratory infections appear to have a higher risk of developing asthma. People of any age who already suffer from allergies or eczema have a higher risk of developing asthma. There is also a family risk. If one or both of a person's parents have asthma they will have an increased risk of developing it themselves. Asthma can start at any point in a person's life. While it is more commonly diagnosed during childhood or adolescence, even seniors who have never suffered from asthma before could potentially develop it. While there is no permanent cure for asthma, there are a number of ways that it can be effectively controlled. The doctor and patient can work together to try to identify triggers so that asthma attacks can be avoided as much as possible. Medications known as inhalers can be used every day for maintenance and prevention of acute attacks or for “rescue” when an asthma attack happens. Inhalers deliver medication directly to the airways to help open the airways again when they are painfully restricted. Oral asthma medications can be very effective in the prevention and control of asthma, as well.